The artist’s second studio album was released on November 3rd. With artists featured such as John Newman, One Republic, and Bonnie McKee, it’s clear Kygo has gained a lot of respect in the industry. Themes of all of these songs such as love are mixed with lyrics that call for freedom, and a beat that makes you want to run and move to – it’s as if the songs don’t want to just create an image, but actually bring the feelings to life. The album recognizes these desires in everyone and speaks to it. “Never let you go” with John Newman is an obvious stand-out song from this album, and very much oriented to the theme of escape, and doing so with a risky new love. 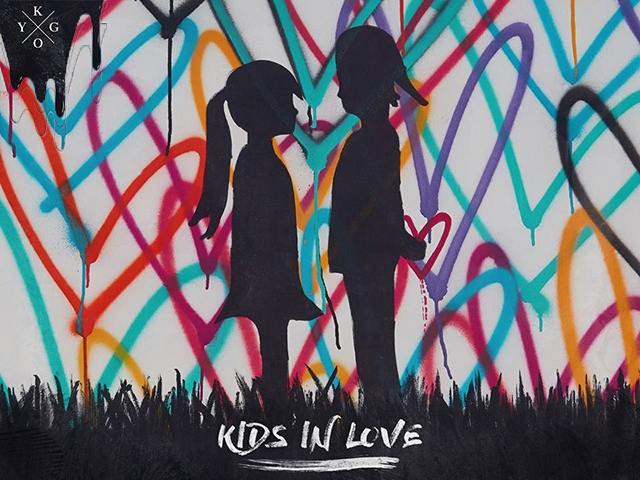 The album-titled song “Kids in Love” is sung by The Night Game, and unsurprisingly speaks to the true message of the album. The emotional depth of these songs come from the underlying fear of growing up. With each song as the album progresses, the veil slips away as the true feeling of loss of innocence grows. “Permanent”, the second last song on the album, is entirely about losing love and mistakes that would be incomprehensible to ‘kids in love’. The final song “I See You” is entirely mature and focuses on intimacy in love. “You’re more than just a notch in my belt” is a line that wouldn’t make sense to the childhood that contact is attempted with in the earlier portion of the album. All hopes of regaining innocence is lost at the album’s close. Overall, this album is sophisticated in a style which is incredibly appealing. Kygo’s ability to mix EDM in a powerful, fun and balanced way brings this album to a well-rounded finish as the lyrics and melody match each of the featured artists fantastically.